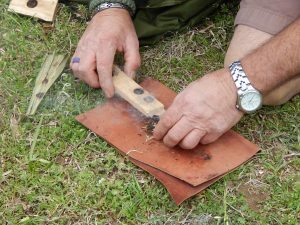 Firemaking is another ancient technology that has been featured at Moundville Knap-In. The Knap-In will be July 21 and July 22. 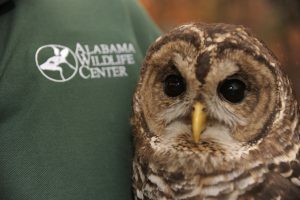 Coosa is a Barred Owl saved by the Alabama Wildlife Center. As a member of the West Alabama Birding Trail, Moundville Archaeological Park has held a bird outing as part of its Saturday in the Park program for the last several years. Expert birders will offer bird walks and presentations, and Alabama Wildlife will have live raptors and other birds to show guests. Craft time will be available for visitors. The Birdfest will be July 22. Each event runs from 9 a.m. to 4 p.m., and both are free with regular paid admission to the park. Park admission is $8 for adults, $7 for seniors 55 years and older and $6 for students. Children 5 and younger and residents of Moundville are admitted free. Moundville is located 13 miles south of Tuscaloosa off Alabama Highway 69.